Have we reached the point of diminishing returns? With 2013 now behind us, I want to look back upon the past year and analyse the technology we saw, as well as speculate upon what we are likely to see this year. I think 2013 was a relatively disappointing year for mobile phones, however 2014 looks more promising. For many, 2013 will be known as ‘the year of 1080p screens’, as almost every flagship model incorporated these high resolution displays at the cost of battery life and overall fluidity. This meant that overall performance seemed stagnated in general operations, with the HTC One X rarely under performing to the HTC One, except in gaming performance. However, the benefits of a 1080p screen as compared to a lower resolution are noticeable to most and definitely offer an improved experience, resulting in less eyestrain and the ability to browse the web more elegantly. Of course, not every 1080p screen is equal. We saw improvements in colour reproduction, brightness and touch sensitivity in 2013, as well as advancements in technologies like AMOLED. With Apple retaining it’s sub-720p display on the iPhone 5S, many agreed that this was subpar and that this will need to be improved upon in 2014, else market share will suffer. The Xperia Z was widely criticised for its poor viewing angles, resulting in poor sales despite otherwise quality hardware. This shows the great importance of a quality screen in the current market. Display size in 2013 saw a huge increase from previous years. In 2010 for instance, the display of the iPhone 4 at 3.5 inches was considered large. By 2011, the Galaxy S2 had upped this to a 4.2” screen, and in 2012 the Galaxy S3 was released with an even larger 4.8” screen. 2013 can be known as the ‘phablet year’, with a large number of phones released with a screen size larger than 5 inches. This is a trend on the rise and I believe that in 2014, any screen with a size less than 5” will be regarded as ‘small’. In 2014, many smartphones are rumoured to be incorporating WQHD screens, with a resolution of 2560 x 1440. This is a resolution higher than most laptops on the market and seems to be overkill for a screen so small. The benefits of 1080p were visible, but with another resolution jump, the impacts on performance and battery life don't seem justified. A 1080p screen seems pin sharp and any higher may truly be more pixels than the eye can distinguish. This year in the television industry, there will be a major focus on OLED displays, due to their superior black levels, brighter whites and fast refresh rates. However, in the mobile industry I believe that LCD will still dominate, due to a cheaper cost and advancing technologies allowing for higher resolutions on a thinner screen. Only Samsung and Nokia are currently utilising OLED screens and while they are praised for their colour saturation and black levels, many argue that the colour is not reproduced accurately and that the Pentile matrix of Samsung’s latest screens means that they are not at true 1080p. OLED displays also commonly have a tint, resulting in darker, less pure whites. The S4 for instance has a clear blue/green tint when compared to the HTC One which uses an LCD. To conclude, I believe that in 2014, 1080p will be the standard resolution for most phones, with a few rising to 2560 x 1440. The benefits of this are yet to be determined. Screen sizes in 2014 will be 5” or above for flagship devices, with the Galaxy Note series increasing to around 5.9”. In any portable device, battery life is a major concern and in mobile phones, this has an even greater importance. Over the past few years, battery life hasn't really improved. This isn't due to the non advancement of battery technology, but more due to the increased power usage of components in phones, with the latest screens and SoCs using more power than they did a couple of years ago. This creates the illusion that the batteries used are exactly the same as those used in 2011, while really they are advancing at a steady pace. For example, the HTC Desire (was one of the highest rated phones of 2010) utilised a 1400 MaH battery, while the HTC One uses a 2300 MaH battery. With 900 MaH extra capacity, the HTC One should have greatly improved battery life, while in reality it is not much different. This is because of the more power hungry components. One anomaly in 2013 was the iPhone 5S, which uses a 1570 MaH battery. This is far lower than other flagship phones on the market yet still manages to provide a days usage. This is due to the less demanding processor, as well as software optimisation in the closed Apple ecosystem. The drawback of current batteries is that they are still too large. To include a large 3,200 MaH battery such as the one found in the Galaxy Note 3 requires… you guessed it, a phone the size of a Galaxy Note 3. This means that phones cannot continue to get much thinner with the current generation of batteries, else battery life will suffer. Phones released in 2014 will have a healthy bump in MaH as compared to 2013, however we shouldn't expect to see a noticeable difference in usage times, due to the impending release of WQHD displays and even beefier processors. I believe MaH will hover around the 3000 MaH range for flagships this year, with phablets potentially pushing towards the 4000 MaH mark. A day of solid usage can be expected. One thing that split opinions in 2013 was the issue of the removable battery. It was argued that it was required in order to switch batteries when the original had lost charge through age and that non-inclusion was a type of planned obsolescence. Others argued that many don’t keep a phone for longer than 2 years and that in this time, a battery would still maintain at least 75% of the original charge. Personally, I find a removable battery useless for my needs and think that the design changes required to incorporate one are detrimental to the looks of the phone. I would take a well built solid unibody phone over one with a removable flimsy back cover any-day. In fact, a removable battery just seems so old school, Nokia 3310 anyone? In 2014, unibody phones will be standard. In 2013, DSLR sales suffered. This was mainly due to the increasingly good picture quality on mobile phones. While professional photographers can’t sell their professional equipment yet, for many users a mobile phone camera is more than sufficient. Cameras in 2013 saw resolutions as high as 13 megapixels, while some manufacturers decided to go in the other direction: reducing the number pixels in return for better low light photos and less noise. There is split opinion on the effectiveness of this strategy. Personally I prefer the photos taken from the standard 8 megapixel HTC One X camera than those taken from a 4 megapixel HTC One, with 2um pixels (‘Ultrapixels’). The 13 megapixel camera of the Galaxy S4 can take some great shots, however colours are too processed and noise is an issue with such a small sensor. Overall, I think that the greatest camera of 2013 was that on the iPhone 5S, which features an 8 megapixel shooter with larger pixels like seen on the HTC One. This allows for good sharpness while also reducing noise. Mobile phone cameras now have a number of quality features that even DSLRs can’t match, such as high quality slow motion video, 4K video recording and options to remove unwanted objects from an image with a simple tap. Shooting speeds also dramatically increased from 2012, with speeds of up to 10 photos per second. I think that this larger pixel technology will be seen more often in 2014, with HTC and Apple likely to continue the trend. However, I wouldn’t expect to see Samsung attempt this. In fact, a 16 megapixel camera on the Galaxy S5 wouldn't surprise me. HTC will likely release an 8 megapixel ultrapixel camera, while Apple could either remain at 8 megapixel or jump to 13. Expect to see an improvement in editing options this year, as well as the rise of 4K video. Optical image stabilisation will also be included in most of the flagship devices, as this removes camera shake from photos, meaning that photos taken with a non steady hand or on the move won’t be blurred. An 8MP camera with 2um pixels will require a phone to be 18mm thick at the camera site; not sure if any manufacturer will go there. Check out this article for more details - Cameras in Phones - what do we really need? Qualcomm dominated 2013 with their Snapdragon range. In fact, every Android flagship of 2013 used a variant of a Snapdragon processor, with the exception of the 8-Core Exynos processor used in certain non-European models of the Galaxy S4. The first 64 bit mobile processor came in 2013 with the launch of the Apple A7. This offers certain improvements, such as a 25% performance increase just for apps that are compiled in 64bit, as well as being able to handle more RAM for the future. Processors have reached the stage where most activities on a device are fluid and apps launch very quickly. The GPU on a SoC matters more, as this determines gaming quality and can affect the FPS of general device navigation and scrolling. The Snapdragon 800 and Apple A7 are very fast CPUs. An interesting point is that while all Android flagships used a quad core CPU in 2013, Apple only used a dual core. The dual core A7 even outperforms the quad core Snapdragon 800. This is due to the ARMv8 internals of the chip. Every processor currently used in Android devices is ARMv7 or less. ARMv8 offers a number of improvements including 64 bit support, faster handling of encryption and an increased number of registers. 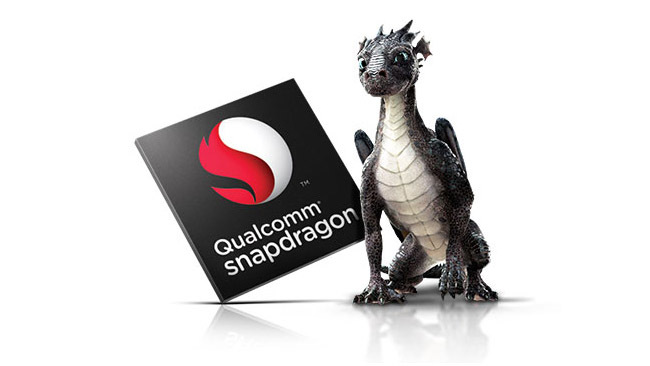 Currently, the Snapdragon 805 is expected to be released in the first quarter of 2014. This is known to have a maximum clock speed of 2.5GHz and an Adreno 420 GPU. However, it is still based on ARMv7, meaning it is 32 bit. This means that Qualcomm is actively slowing down the development of ARMv8, even with ARMv7 currently at the end of its cycle. I expect to see an ARMv8 processor from Qualcomm towards the end of 2014. Processors will remain at quad-core for the most part and I expect Apple to keep its dual core set up which has proven itself as a great performer. great post. Gonna be interesting to see if HTC manages to put in a 8 ultrapixel camera considering the thickness that's required.. It's gonna be interesting to see how many manufacturers decide to stick with the 1080p screens and which ones decides to jump up.. Many people were against 1080p screens until every OEM implemented them. If there is a 50-50 situation with 2k or 1080p screens, it will be interesting to see how people react.. I personally think that 720P was more than enough for a <5" screen. I had the One X and then switch it up for a One, and on the screen department, I must honestly say that I could not tell the difference in resolution. Both screens were absolutely stunning. I switched mainly because of the Aluminum body, boomsound, Zoe and video highlights... all features I thoroughly enjoy every single day with the One. The 4 MP camera satisfies most of my needs, and when it fails I have my DSLR to take the serious pictures. However, if they manage to get 8MUP (mega ultrapixels) on the next One, It would be a welcome upgrade.